Deadlines are stalking me and I have been on the run and hiding for a long time now. Heh. Yeah, it's true. Anyway, an update is in order! 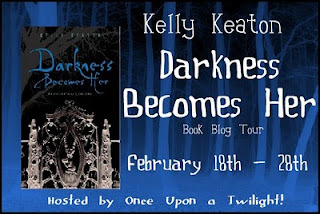 SIX DAYS UNTIL DARKNESS BECOMES HER DEBUTS!! AHHHH!! I thought that deserved some CAPS. School Library Journal said the book is: “part “Lightning Thief,” part “Twilight,” and part “Maximum Ride.” Turns me into a big marshmallow every time I read this. Two days after the release, revisions are due on the sequel. This makes me want to say: Dude. Can't even explain how distracted I am due to the release, and all the promo work I'm doing and to have a book due at the same time. Ugh. A lot of late nights, and bleary-eyed writing is happening at my house. And speaking of promo: BLOG TOUR!! Starts Friday. And nearly every day of the tour I will be giving away a signed hardcover copy of DARKNESS BECOMES HER! I have seen the book trailer for the book -- and OMG. That about sums it up. It should be releasing this week, I think! Stay tuned for that little bit of awesomeness. It'll knock your sock off. And revisions were turned in for THE HOUR OF DUST AND ASHES! Whew. And back cover copy is done, so the blurb will be coming soon. And lastly (er, I think). BOOKSIGNING!! I'll be signing copies of DARKNESS BECOMES HER as well as copies of the Charlie Madigan books at Barnes & Noble Booksellers in Cary, NC on Tuesday February 22, form 7-9 P.M.
Kelly who? 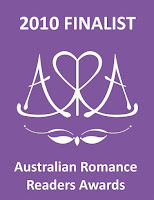 Oh yeah, the author who made me break my vow and buy her books because they are that good! Your busy writing so, all is forgiven. Can't wait for THE HOUR OF DUST AND ASHES. P.S. I am on the last chapter of GREYWALKER by Kat Richardson. You may not remember but, you gave me that along with a signed copy of your book. Now I have to order book 2. I'm just plain not making a, I'm not buying any more new authors vow. It doesn't work:) I love reading good books too much. Just pre-ordered THE HOUR OF DUST AND ASHES!